Situated right next to Harvard University, this relatively new Roastery made a big impact on us. Not only was the coffee sensational, but Marty and Aaron really get involved in the specialty community. We were welcomed into the roastery and given great insights by the team, even though the cafe was busy. Aaron was roasting and Marty was seating customers between packing bags of coffee. They also had a stand at the Roasters village at Expo and they organised one of the funnest evenings - a Cup Tasters Relay evening (which Team Durban came 3rd in - thank you very much!) Broadsheet are the kind of Roastery that puts their heart and soul into their work and into their community. If you’re ever in Boston - make this your first stop for coffee. Brunch is a huge deal over here. The morning we were having brunch at The Friendly Toast, Chris Baca and his Cat & Cloud crew were there ( if you don't know who that is, check out their 23k Instagram following - they are basically the coolest dudes in coffee in the US) but Fan-girling aside, The Friendly Toast is your typical American Diner, with a sense of humour, great service and incredible food. We drank straight-up filter coffee with cream and sugar, ate Eggs Benedict and the Sklarmageddon omlette (It’s an omelette in the event of armageddon) and fuelled up for a long day of Expo’ing. The WBC is mental. The scale of it is crazy. The logistics behind it are military-like. Did you know that Mahlkonig provided 174 grinders for the event? But mainly, it’s about the people and the coffee. It’s hard not to get overawed by the many, many famous coffee people that are literally just hanging around all around you. Look, it’s Sasa - hey it’s Pete Licata pushing his kid in a pram. Oh, there’s Aga cleaning a coffee machine. Hey, it’s Lem Butler that just came and sat next to me and gave me a pin ( he loves pins) - And they are all just talking about coffee and swapping coffee and giving each other and everyone else coffee. Look at this picture - it's Momos Coffee! We tasted it on the brew bar 2 days before Jooyeon won the competition. 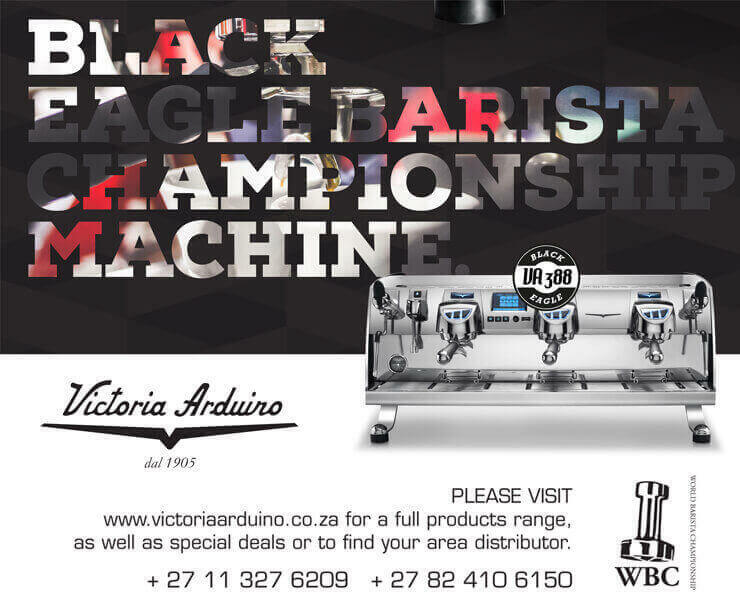 Now this is where this post gets serious: People of Coffee in South Africa - you need to make a commitment to yourself, your coffee business and your poeple by coming to WBC and experiencing what the rest of the world is doing. The more we all do that, the more we can get SA on the right track of global trends. There is so much going on, and we need more of our community to taste these quality coffees. It would be wrong of us not to mention the Boston Marathon because it is Patriot Day here and the beginning of the Civil War etc etc and the Marathon is a big deal. Ok, there. We’ve mentioned it. 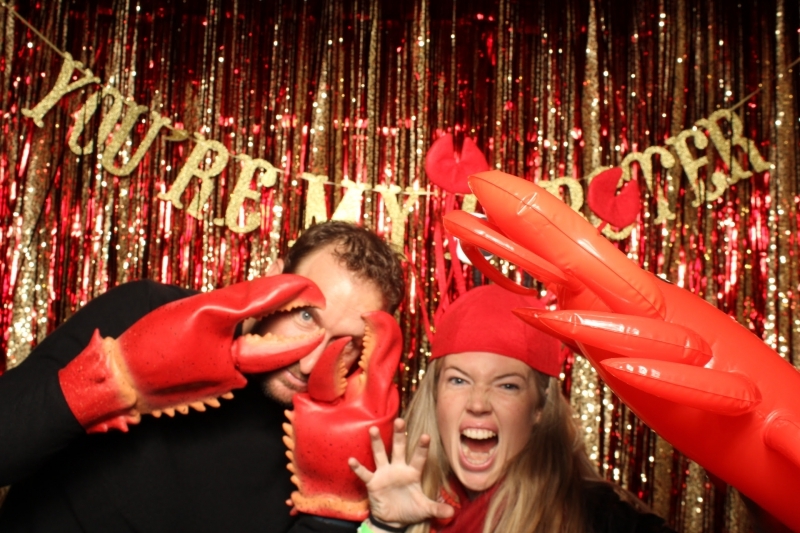 Now can we talk about the lobster? More specifically, Lobster on a roll. Mmmmmm delicious! And iconic. The lobsters here are the size of a small dog with huge meat filled pinchers that you crack open and dig out with your fingers. You even get one of those massive bibs to wear while you tear into into your lobster. Enjoy on a soft bread roll with mayo or straight up. The place to eat it is on the South Bank at the Barking Crab, washed down with a local cider or the Boston lager. Follow these Top 5 and you would have pretty much covered the highlights of Boston.